Most harpists don’t have a professional technician based in their home towns. If you do, this article will bore the heck out of you. Please return to looking at cat videos. If not, you probably have your harp serviced by a technician who comes to your city periodically, often once a year. If you live outside a metropolitan area, you may have to drive several hours to bring your harp to a visiting technician in the nearest big city. If your technician is a once-a-year visitor to your area, you’ll want to do what you can to make sure you’re comfortable with the work that was done before he or she leaves. This means checking out your harp after it is regulated. Play one or two of your favorite pieces of music. If there was a spot on one piece where you often noticed a buzz before the regulation, play that spot. Is the buzz gone? Try a few pedal changes. Are you comfortable with the pedal action? The top professionals I work with always check their harps. They play them hard and loud, and run through some of the most technically demanding pieces they know. If something isn’t quite right, they’d rather find out while I’m standing in in the room with them than two days later when I’ve flown to another part of the country. Students and novice players are often uncomfortable about playing in front of me. If you’re newer to the instrument, I understand the discomfort you must feel, but I wish you would try to play a little anyway. I’m not there to judge your abilities. Heck, I don’t even play the harp! I just want you to have a chance to ask any questions you may have about the regulation while I’m still present to address them. 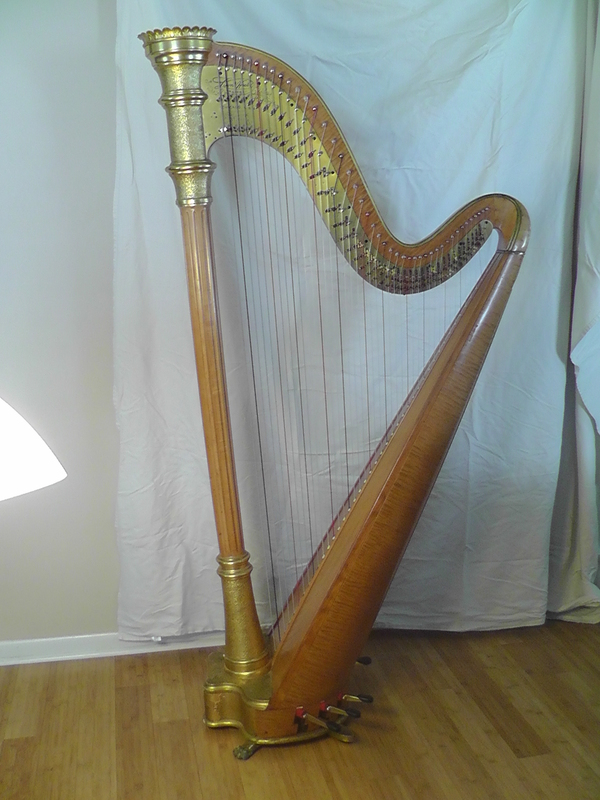 Nothing’s worse in my world than trying to diagnose a problem with a harp over the phone a week or two after I’ve worked on it, especially if the owner was reluctant to play it when she picked it up. Now, if she had tried it out after the regulation, and didn’t hear the problem until a week later, at least I would know she tried. Checking your harp and not finding a problem does not mean my responsibility to you ends. It just means you’re respecting my time and yours by trying to prevent future questions from arising. I can and do try to help resolve problems long-distance and will even make a return trip if necessary, but obviously I need to keep these solutions to an absolute minimum. Do you hate confrontation? Do you feel awkward complaining about something to a service provider? After all, I’m the professional technician and you’re just a customer, right? I understand that too. The thing is, different people play the harp differently, and often have different expectations about what is most important in their harp’s sound. I adjust the harps I work on based on the feedback I’ve received from hundreds of customers over the years, but there is no one-size-fits-all regulation. If you don’t like something I did, it doesn’t always mean I made a mistake. You’re not insulting me. I’d much rather learn what is important to you so I can set up your harp the way you like it next time. Harp technicians are human beings. We do make mistakes sometimes. If you help us catch one before it’s too late, we’ll be embarrassed, but we’ll also be relieved that we got the mistake fixed without a return trip to your town. So, plan on checking your harp. Play it through. If you need music to read, bring music. You may need to bring a portable stand as well. You don’t have to play the most demanding piece you know. Just make some music. Hopefully, you’ll notice that your harp sounds much better after a regulation, but just in case something doesn’t seem quite right. Let’s discuss it right then. We’ll both be glad we did.